Unless you know exactly what you’re doing, responding to TV ads is a guaranteed way of taking losses on gold/silver investments. Here’s an example of a $127,000 loss on a $296,363 investment made when the price of gold was lower than it is now. The buyer responded to ads that run frequently on TV, featuring an older actor. The ads are professional, and one powerful ad has him standing on a pier with cargo containers being unloaded in the background. He’s talking about what if the world’s economy turns sour as he holds a 1-oz Gold Eagle. Impressive ad. With a trade war looming, the world’s economy could turn down. 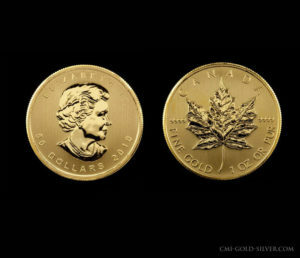 Unfortunately, the buyer was not sold basic gold bullion coins, such as American Eagles, Krugerrands or Gold Maple Leafs, which sell at small premiums over the value of their gold content. He was sold coins with huge premiums. They went easy on his first purchase, meaning they didn’t mark up his purchase as much as they later did. It was in the summer of 2009, with gold in the $940 range. He was sold ten circulated $20 St. Gaudens at $1,505 each. Had he come to CMI for the same coins, we would have sold them to him for about $1,230 each. The telemarketers never mentioned that these were the same coins that Roosevelt called in with his infamous 1933 Executive Order. And, as for the study that supposedly showed that old US gold coins outperformed bullion coins in rising markets, it was later revealed that the authors “cherry picked” the coins they put in the study. Even in a stock bear market, after the fact you can find some stocks that rose in price. With gold at $940, the premium on the circulated $20 St. Gaudens was – at CMI’s price of $1,230 — $321.00. The telemarketer’s premium: $596. 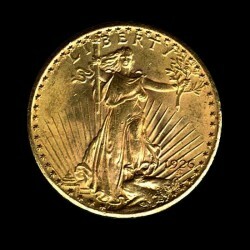 Remember, the gold content of a $20 St. Gaudens is .9675 ounce. 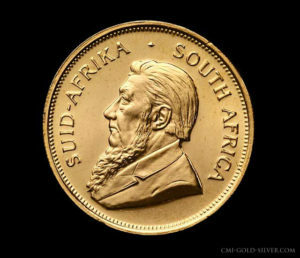 Despite the opportunity to increase profits, CMI did not join the movement to recommend old US gold coins. We feared that the “natural” premiums on the coins someday would disappear, and we were proven right, and we saved our clients a lot of money by staying away from recommending old US gold coins. However, nowadays $20 St. Gaudens are not bad buys. You can buy them at about $1,300, sometimes cheaper. That’s a premium of $72. If you want 2018-dated 1-oz. Gold Eagles fresh from the US Mint, you’re looking at a premium of about $57. If you buy back-dated Gold Eagles, you’re looking at a premium of only $30. 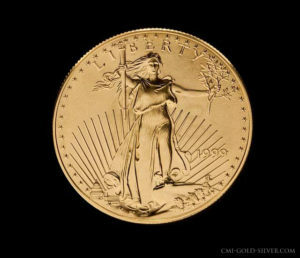 Always check our Gold Specials Page for still lower prices on Gold Eagles and other gold bullion coins. Of course, over the years when callers asked about old US gold coins, our brokers warned them of the dangers of buying high premiums coins. Sometimes, though, they insisted, and we found the coins for them with small markups over our cost, such as the example given above. Now, back to the buyer who had his head handed to him on a platter. In early summer 2014, the buyer returned to the market and bought heavily, twenty-one purchases over the next year. He was sold a hodgepodge of coins: circulated and MS-64 Peace silver dollars; circulated and MS-63 Morgan silver dollars; $2.5, $5, $10 and $20 Gold Liberty-Heads; and MS-64 St. Gaudens. The MS-64 St. Gaudens was the largest single purchase, thirty coins at $2,175 each for a total of $65,250. Had he called CMI, we would have sold him the coins in the $1,500 range, for a total investment of approximately $45,000. Despite all of his purchases having taken place when gold was trading lower than it is trading now, if he liquidates now he suffers a $127,000 loss on an investment of $296,000. That’s a 43% takedown. Radio and TV advertisers need huge margins to pay for those expensive ads. If you’re tempted to respond to an ad – or if you’ve already done it – and are intrigued about certain coins, before you buy call CMI and get the real scoop. Doing so could save you a lot of money. Unfortunately, this story is not unique. Read Horror Stories for many instances where other investors have been sold overpriced coins by telemarketers.